Week 3 of Thursday Night Football features the Houston Texans visiting the New England Patriots at Gillette Stadium. Here’s how you can watch. Week 3 of Thursday Night Football features the Houston Texans (2-0) visiting the New England Patriots (2-0) at Gillette Stadium. The Patriots enter the game off a Week 2 win over the Miami Dolphins. The team is still without quarterback Tom Brady for two more games as he continues to serve his 4-game Deflategate suspension, and may also be without starting quarterback Jimmy Garoppolo who is listed as doubtful for tonight’s game after injuring his shoulder last week. The Texans go into tonight’s matchup off a 19-12 win over the Kansas City Chiefs in Week 2. 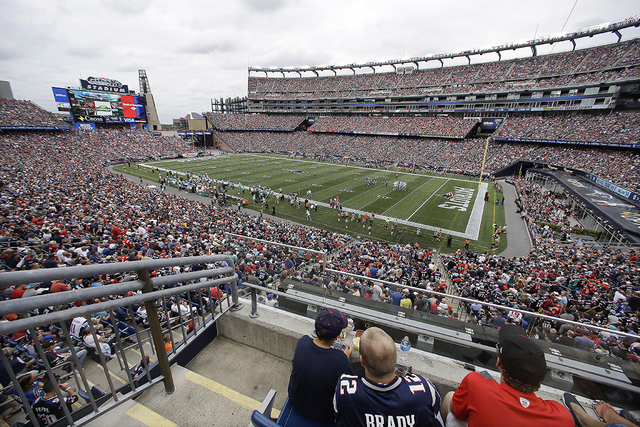 Place: Gillette Stadium; Foxborough, Massachusetts. Contact Kira Terry at kterry@reviewjournal.com. Follow @kiraterry on Twitter.